It was no surprise that Obama officials didn’t want to hold Hillary Clinton and other State Department cronies to account for her mishandling of classified materials. But it’s disturbing that the State Department is still trying to protect Hillary Clinton and stonewall Judicial Watch. The positions the State Department has taken in federal court on our lawful FOIA suits haven’t changed from the Obama Administration. The Trump-appointed Tillerson State Department repeatedly stonewalled Judicial Watch’s FOIA investigations into potentially illegal conduct by its agency employees! Now that he is in charge of the State Department, Secretary Pompeo needs to take his own advice - bring his agency to heel, do “what it ought to do,” and answer Judicial Watch’s lawful FOIA requests! We currently have over two dozen FOIA lawsuits filed against the State Department that the American people deserve answers about! 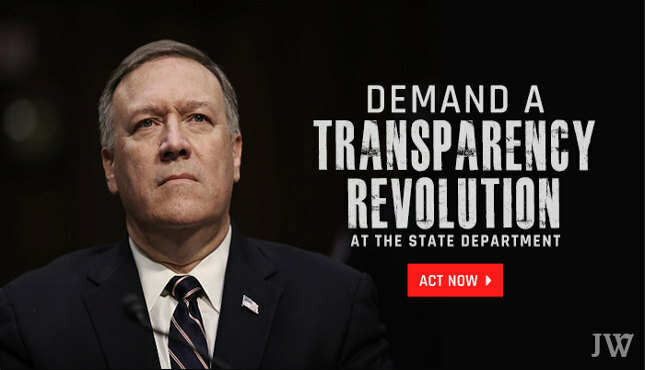 Sign the petition now and demand Secretary Pompeo kicks off a transparency revolution at the State Department! When you were a Congressman, you said we ought to be able to rely on the State Department to respond to legitimate inquiry from the legislative branch about the deaths in Benghazi under Secretary Clinton, yet were stonewalled at every turn in efforts to get the facts. Now that you are our Secretary of State, we are asking for you to lead a transparency revolution and bring your agency to heel, do “what it ought to do,” and answer Judicial Watch’s lawful FOIA requests. 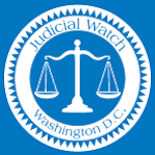 Judicial Watch currently has over two dozen FOIA lawsuits filed against the State Department that the American people deserve answers about. Please do the right thing and give the American people the answers they deserve.